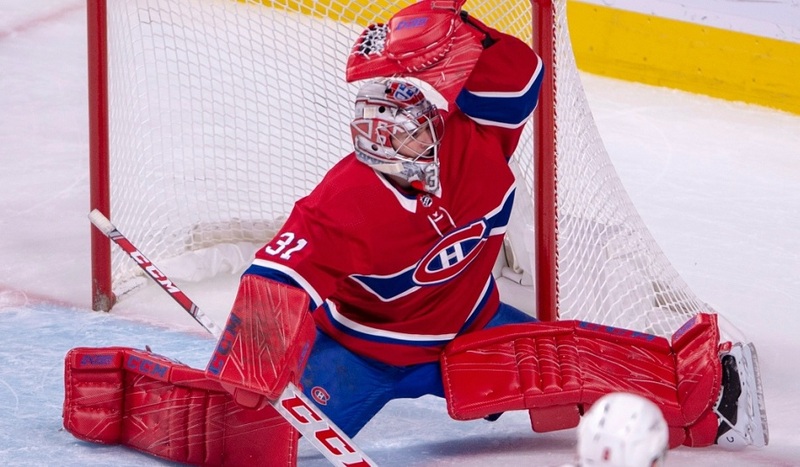 The Habs came off their bye week with a pair of matinees over the weekend. While they suffered a tough loss in the opener, they rebounded with a win to pick up three of a possible four points. 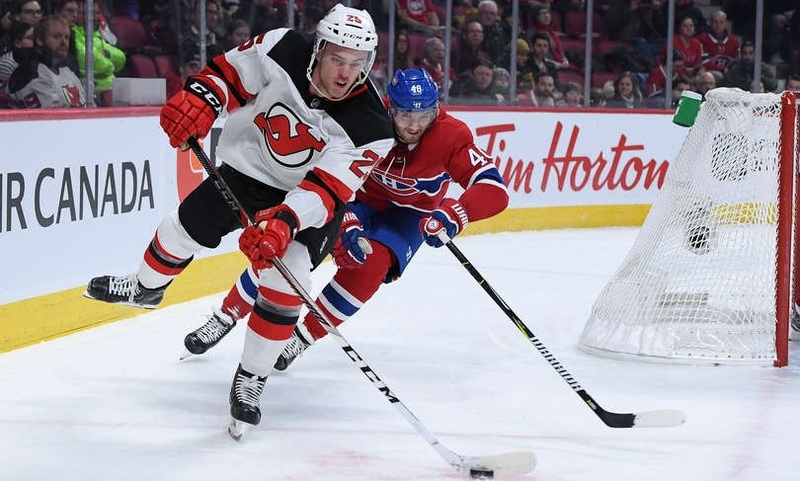 Feb. 2: Devils 3, Canadiens 2 (OT) – Montreal was the better team for the majority of the game but they weren’t able to get that elusive insurance goal. Sure enough, that eventually came back to bite them when Nico Hischier was left open in the third to beat Antti Niemi to square the score. Unfortunately for the Habs, some poor coverage on Hischier in overtime allowed him to go in untouched and beat Niemi with a short-side goal that the netminder would love to have back. 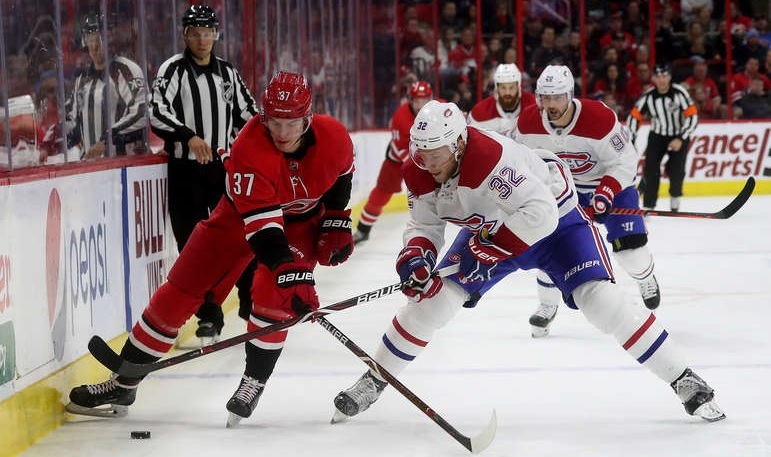 Feb. 3: Canadiens 4, Oilers 3 (OT) – Once again, the Habs got off to a good start but this time, they got worse as the game progressed. The penalty kill struggled as Edmonton scored twice on the power play while the other came two seconds after a penalty expired. However, Jesperi Kotkaniemi scored the equalizer late in the third (his second goal in as many games) while Jonathan Drouin picked up the winner on an end-to-end rush in the extra frame. - Michael McNiven was recalled to serve as Niemi’s backup to cover Carey Price’s one-game ‘suspension’ for not going to the All-Star Game. Worth noting, by sending Karl Alzner down, they preserve one of their 48-hour emergency goalie recalls to use later in the season if they need to. (They used one of their two already.) They brought Alzner back following Saturday’s game. - Alzner has now reached 30 days on the NHL roster since last clearing waivers which means he’ll have to clear again before he can be sent back to Laval. It wouldn’t be surprising to see him back on the wire between now and the trade deadline to give themselves some extra wiggle room if they need it. - Paul Byron left Sunday’s game early with what’s believed to be a forearm injury. With Andrew Shaw nearing a return, it’s looking likely that Byron will be placed on IR to free up the roster spot for Shaw. - Max Domi has surpassed his point total from last season (45) with three points over the weekend. He’s now five away from tying his career high which was sent in his rookie season back in 2015-16. Feb. 5: vs Anaheim – The Ducks have lost 15 of their last 17 games and were embarrassed on Saturday in Winnipeg so they are going to be an angry bunch as they make their way East. They just got Corey Perry back while Patrick Eaves recently returned as well, giving their offence a couple of options they haven’t had very often so far. John Gibson has seen his numbers dip recently but through the first half of the season, he was a strong contender for the Vezina Trophy. A random stat: Pontus Aberg sits one goal away from the team lead…and he was traded to Minnesota three weeks ago. Feb. 7: vs Winnipeg – The Jets have been in a battle with Nashville for the top spot in the Central all season long but have picked up a bit of breathing room on the Predators. They’re one of the top scoring teams in the league and have a well-balanced attack with eight players in double digits in goals already. Winnipeg is also likely to have Dustin Byfuglien back for this one after missing more than five weeks with a lower-body injury. Feb. 9: vs Toronto – When the season started, I don’t think anyone thought that this game could be a battle for position in the Atlantic (and a possible playoff preview) but it’s a distinct possibility as the Maple Leafs have scuffled over the past few weeks. William Nylander has failed to make much of an impact since his contract squabble came to an end back in early December but their big three up front have carried the load offensively. While the injury to Paul Byron will likely result in no one needing to be waived up front, I’d still like to see the Habs try to send someone down. All of a sudden, Kenny Agostino appears to be on the outside looking in at a spot in the regular lineup. While he was reasonably productive early on with 10 points in 18 games to start, he has a single goal in 17 games since then. This is not the type of player that’s going to get claimed off waivers so why not get him back in Laval? Part of the reason he made an early impact was that he came from being in a scoring role with the Rocket and he played more of an attacking style upon being recalled, something that has worn off since then. If more injuries arise, I’d rather have Agostino coming up from the minors where he’ll have some confidence than sliding in from the press box. If Marc Bergevin decides he wants to make an addition up front before the trade deadline, they’re going to need a roster spot so why not free it up now when more talented players are going through waivers unclaimed? The potential reward is worth the small risk of making him available for claim.